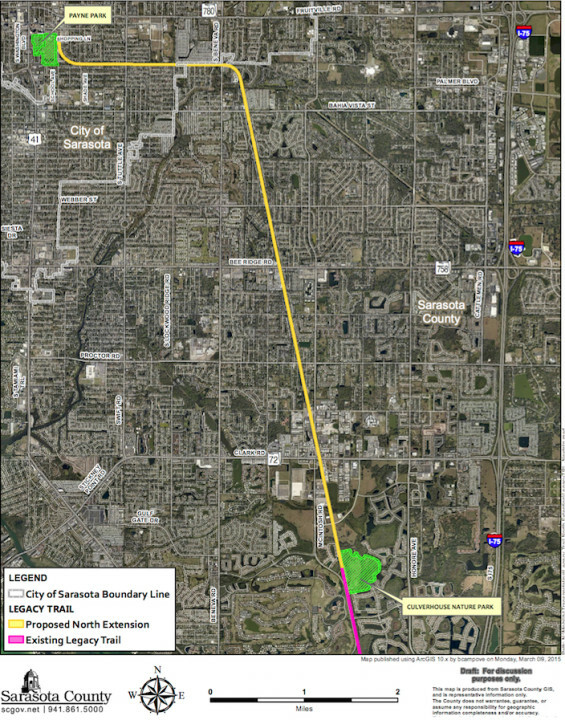 On Feb. 1, the Sarasota County Commission received an update from staff saying the Florida Department of Transportation was continuing to negotiate with CSX over the purchase of approximately 100 miles of railroad corridor — including the piece needed for the north extension of The Legacy Trail. Eight days later — during the board’s Feb. 9 regular meeting in Venice — Commissioner Charles Hines reported those negotiations have stalled. Hines said Boxold understands that the north extension of The Legacy Trail is a priority for the County Commission. No other board member offered a comment. On April 1, 2015, the commissioners voted unanimously to adopt The Legacy Trail Feasibility Study, which encompassed various design options for the 7.5-mile north extension with an estimated construction cost of $20.3 million. 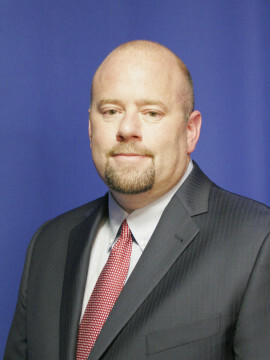 The vote included direction to County Administrator Tom Harmer to obtain real estate appraisals of the railroad property needed for the project. In light of Boxold’s new information, county spokesman Drew Winchester told The Sarasota News Leader on Feb. 11, county staff members have been discussing strategies for their next steps, including the appraisals. 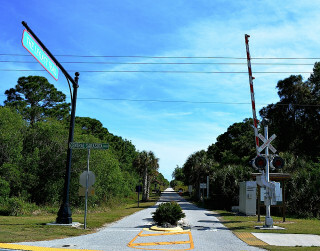 The extension would run from the Trail’s current terminus just north of Culverhouse Park to Payne Park in downtown Sarasota. “Not once was there ever a murmur other than that this was the greatest thing Sarasota County had ever done,” Maio concurred, noting that he had attended 125 events during his campaign, a figure his wife had tallied. “I want to figure out a way to get this thing done,” Caragiulo said of completing the north extension. County staff expected that if the state department’s negotiations with CSX proved successful, FDOT would request funding during the 2017 legislative session to make its purchase possible. In an Oct. 7, 2015 post on its website, the Friends of The Legacy Trail reminded its members and supporters about the April 1, 2015 County Commission vote. 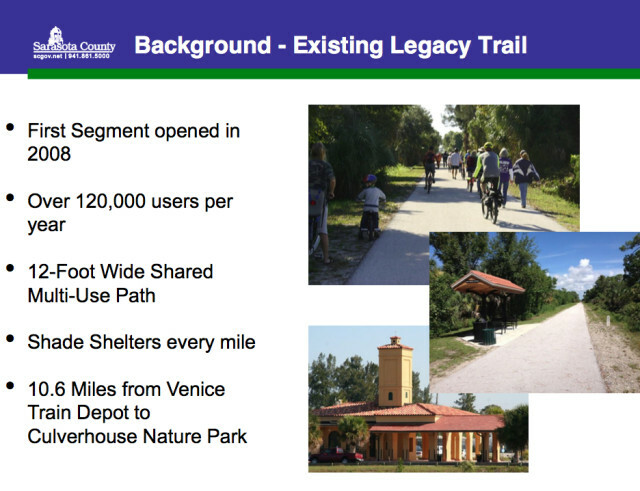 The memo added that in 2013, the Friends of The Legacy Trail petitioned the board to extend the trail to Payne Park in downtown Sarasota. 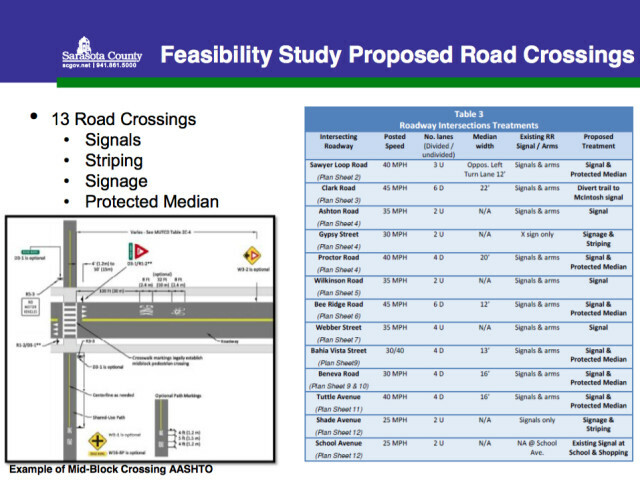 In early 2014, the county hired Cardno Inc. to develop a feasibility study for that project. The resulting study outlined various technical recommendations, such as a preferred trail alignment, necessary infrastructure improvements and pavement widths, the memo pointed out. It also recommended an environmental site assessment (ESA) as the next step, as that would indicate any potential problems that could affect the value of the property. Bruce Dillon of Venice long has been one of the mostly highly visible supporters of The Legacy Trail in Sarasota County. 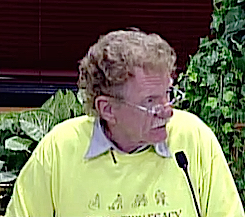 He was the lone speaker to address the board before it heard the April 1, 2015 presentation on the feasibility study. In a telephone interview with the News Leader on Feb. 2 — exactly a week before Commissioner Hines presented his update — Dillon said he doubted that the north extension would be completed any faster as a result of FDOT’s negotiations with CSX than it would be if the county continued to pursue a sales transaction. 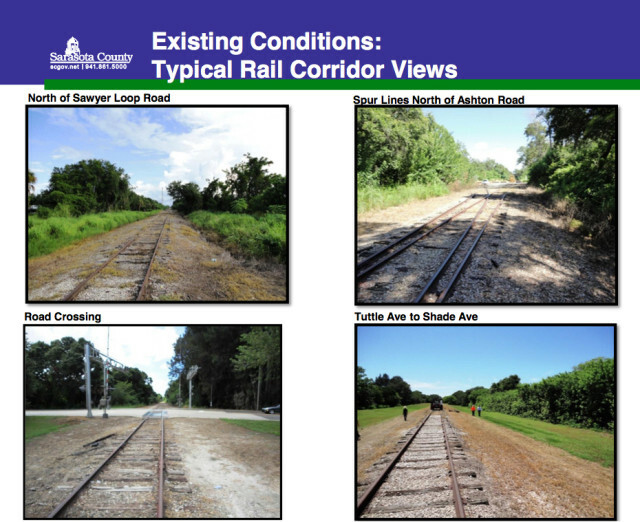 He also pointed out that if FDOT were successful, the extension most likely would end up as a rails-and-trails model instead of a rails-to-trails facility, while the Friends organization preferred.